Will Ashon - Chamber Music: About the Wu-Tang (in 36 Pieces) . Bleep. 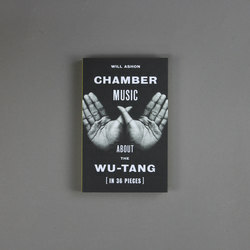 Will Ashon tells, in 36 interlinked 'chambers', the story of Enter the Wu-Tang (36 Chambers) and how it changed the world. As unexpected and complex as the album itself, Chamber Music ranges from provocative essays to semi-comic skits, from deep scholarly analysis to satirical celebration, seeking to contextualise, reveal and honour this singularly composite work of art. 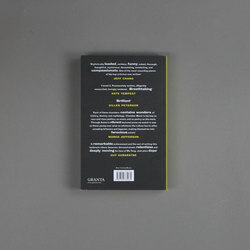 Will Ashon is the author of Strange Labyrinth (Granta, 2017) and two novels. He previously ran BIG DADA records where his artists included Roots Manuva, MF DOOM, Kate Tempest and Diplo.